Beyonce performs "I Was Here" in the United Nations General Assembly Hall, Friday, Aug. 10, 2012. 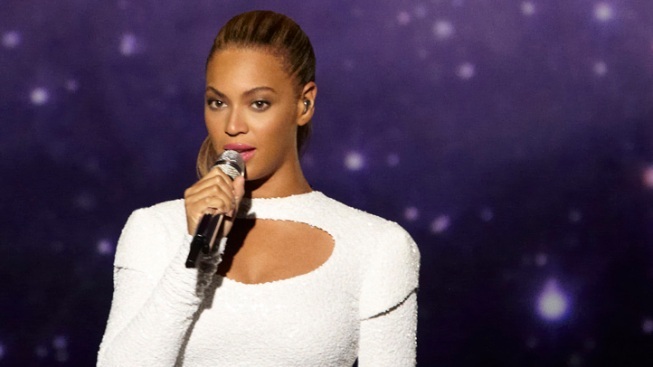 Justin Bieber, Lady Gaga and Michelle Obama are giving a helping hand to Beyonce. Obama and the pop stars have signed on to support the global campaign for World Humanitarian Day which Beyonce marked Sunday with the release of a new video for her song "I Was Here," filmed at the United Nations in New York last week. The campaign asks that on Sunday people help others through such acts as making sandwiches for the homeless or volunteering at a local charity. The goal is to share 1 billion messages of hope. A representative for Beyonce says that Bieber, Gaga, Obama, Rihanna, Shakira, Jay-Z, Gwyneth Paltrow, Chris Martin and others will participate.